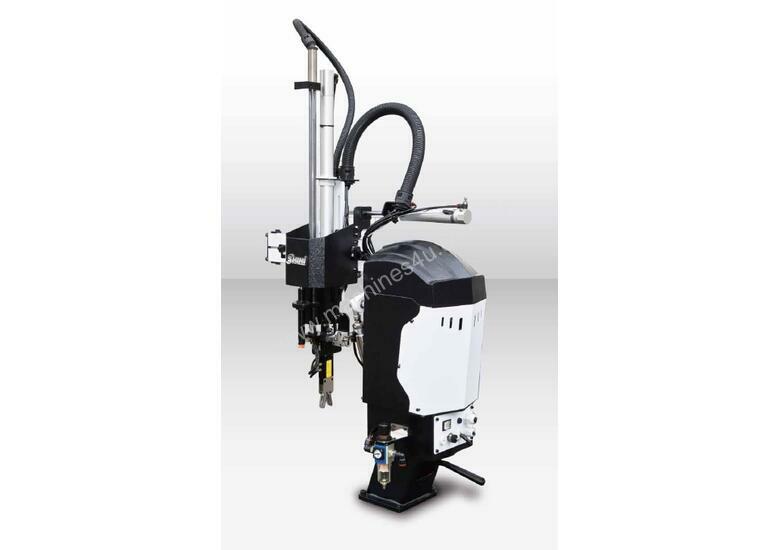 The arm mechanism is integrated with branded pneumatic cylinder, efficient shock absorber, drop proof locking mechanism, compact and adjustable gripper, self clean plastic bearing, 90o wrist rotation mechanism and gripper sensor. 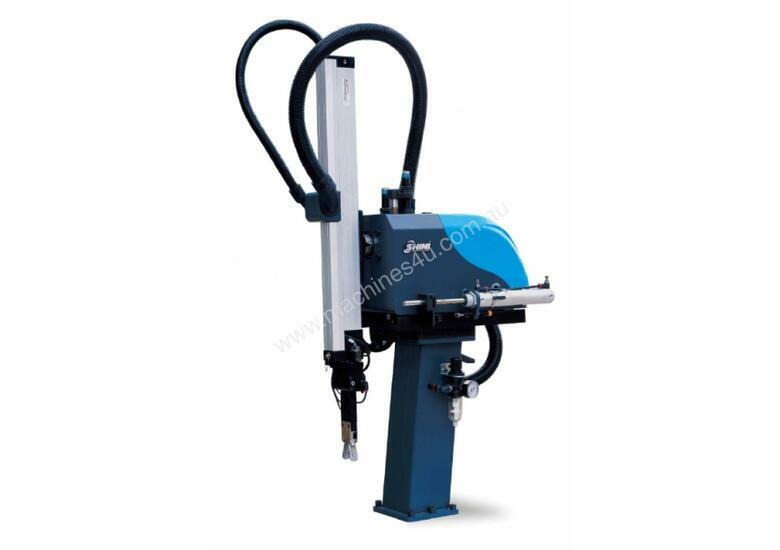 Employs heavy duty linear rail and ball bearing, pneumatic cylinder with adjustable speed and displacement and shock absorber. Fast mold changing design provides simple method for changing molds. The base is rotatable for 90o degree by releasing the handle. Branded pneumatic accessories provide extensive use life. Removable electric circuit stands allows easy maintenance. Dialogic hand controller provides English, Japanese, Traditional Chinese and Simplified Chinese. Other languages are applicable; up to 8 different languages can be stored. There are 8 standard programs and memory for up to 80 customized programs with self fault detection. Swing directions are adjustable simply by flipping the switch on the control board. 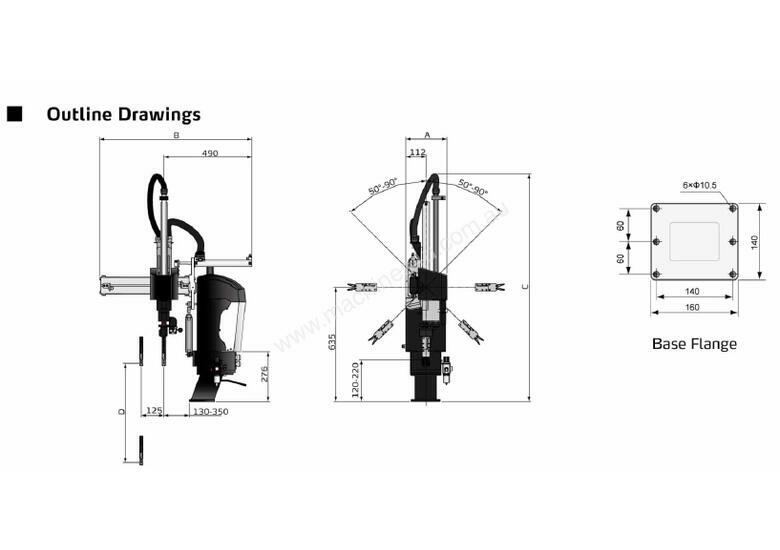 Position limit sensors are applied to all moving directions in order to provide safety mechanically and electrically. Extra 4 sets of I/O pins are available for other applications. Designed to EUROMAP 12, EUROMAP 67 and SPI to provide plug and use. ### TELFORD SMITH ENGINEERING - For over 70 years we have supplied a huge range of machinery & equipment for Recycling, Extrusion & Moulding industries worldwide ### Phone us now for a free, no obligation chat about your needs.